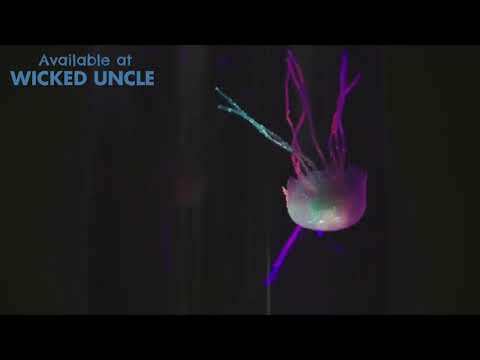 Watch these amazingly lifelike jellyfish glide around the tank as the moodlight changes color. Standing 9 inches tall, the rounded tank holds two jellyfish which swim and glide around with realistic movement provided by jets of air moving the water inside the tank. The triple LED’s light up the tank in three different colors adding a soothing, relaxing feel. Makes a fun decorative addition to any room. Way more exciting than your standard goldfish and they don't need feeding! No cleaning or feeding needed! Learn more about inheritance traits - fascinating and fun. See into the dark up to 25' with these LED night goggles! Colorful, fascinating look inside the body with x-ray like lenses. Zip and zoom with this foldable, expandable smart drone! Sophisticated 12 year olds still need to have fun. So we have got some fun, cool stuff that you can send them for their birthdays and big up your street cred. Plus you will enjoy sending one of these presents to them and seeing what their reaction is.